For many Americans, college football season is the best time of the year. And whether you are devoted to the Georgia Bulldogs or a UCLA Bruins, for many fans, game day is all about tailgating. Consider the fact that, on average, more than 42,000 people attend each NCAA (National Collegiate Athletic Association) game, yet 10% of tailgaters don’t even attend the game. Tailgating events are an ideal environment for brands to meet consumers, whether they attend the game or not. Named this year’s official hamburger of the NCAA, Wendy’s set out to make the most of the tailgate opportunity. 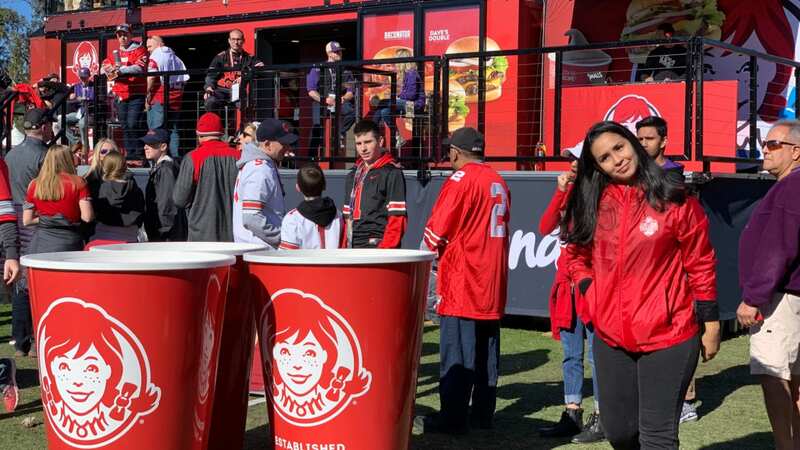 With the help of The Marketing Arm, Wendy’s launched a 13-week sampling tour. Not only did the brand feed hungry tailgaters, they made clear that their burgers are fresh, never frozen. They also showcased their exclusive Frosty desserts! But that wasn’t all. To promote their delivery partner, Door Dash, the two companies developed a fun way to deliver the samples all over the stadium. As the event’s staffing partner, Elevate Staffing provided a team of local brand ambassadors at every stop.